Knowing the context of a composition can transform the listening experience, especially for classical music, that has no words. Such was the case for me when I heard a brief history of Gustav Mahler's 9th symphony prior to listening to the Chicago symphony preform it. Perhaps you will say the same after this post. Let us look at an intricate interconnection of events that eventually leads to the final complete symphony of Mahler. First we must look back to a German poet named Freidrich Ruckert. In a 2 week span Ruckert lost two of his five children to scarlet fever, Luise age 3 and Ernst age 5. As a way to grieve their loss he wrote a series of 425 poems in a collection called "Kindertotenlieder" or Songs on the Death of Children completed in 1834. These were of a private nature, and only published after his death in 1872. It was Ironic then when in 1907, his beloved daughter Maria Anna contracted diphtheria and at the young age of 4, died. 1907 was also the year Mahler himself was diagnosed with infective endocarditis. Grief stricken and with a new life limiting illness he began work on symphony No. 9. We are not surprised then to hear these themes in Mahler's 9th symphony. Listen to the beginning of this 1st movement. It begins subtlety, even hesitantly. 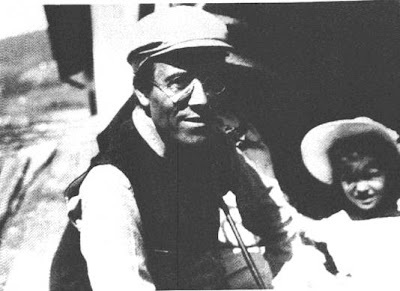 Can you envision Mahler at a picnic with his daughters, the merriment of life abounds. Then the intrusion begins, an ominous discord like a storm on the horizon. The climax is ushered in with trombones piercing the calm, as death appears in the midst of joyous life. The strings then follow as a voice crying in sorrow. "Often I think they've gone outside! / Soon they will get back home again! / The day is lovely! Don't be anxious, / They're only taking a long walk / .... They've only gone out before us, / And will not long to come home again. / We'll catch up with them on yonder heights / In the sunshine! / The day is fine on yonder heights!" As you listen to this part of the 4th movement, hear the words of the poem. The sadness behind the strings slowly resolving into resolution. Mahler himself perhaps finding his own peace, not only in the loss of his little girl, but in his own mortality. Do you hear the theme saying, "It'll be okay", the grief is still present, but "the day is fine yonder heights"
Sources: Gartenberg, Egon. "Mahler:The Man and his Music" (New Tork: Schirmer, 1978), 288. Works: Mahler, Gustav "Symphony No. 9"